All women love flowers, whether it is receiving them as gifts, or wearing them or decorating their homes with them. But even more than that they love carrying them in a bouquet to complement their wedding gowns on one of the most important days of their lives. The bridal bouquet is one of the most important components of a modern bride’s attire whether the special occasion is a simple garden wedding taking place at the family home or is a lavish and opulent event. Flowers do add a nice touch of romance and visual beauty to a wedding, however, there are even more meaningful reasons for them being present. 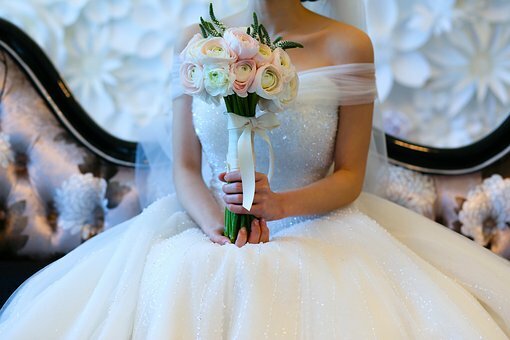 A bride carrying a bouquet of flowers is an ancient tradition. In Ancient Rome, brides wore or carried flower garlands. They believed that flowers signified hope of fertility, fidelity, and new beginnings. During the Middle Ages, it was thought that strong-smelling spices and herbs could ward off and drive out poor health, bad luck, and evil spirits as well as help to mask the scent of body odor. Frequently comprised of herbs instead of flowers, dill was particularly popular, given it is the herb of lust, it was consumed by the groom and bride during their reception and was believed to increase sexual desire. During the Victorian age, flowers became a regular component of the wedding bouquet and this tradition has continued up until the present day. Queen Victoria popularized the modern bridal bouquet. When she married Prince Albert, she carried a tussie-mussie with her, which was a small clutch of flowers contained in a filigree holder full of orange blossom, mytrle and moss. During the Victorian era, lovers frequently sent various flowers as an expression of their love. Every flower had its own meaning, and exchanging flowers became very popular and became associated with romantic love. Due to this romantic association, flowers became an important aspect of wedding ceremonies. Brides chose their flowers carefully for the various sentiments that they represented, and whichever blossoms she carried with her, became “her flowers” for life. However, during modern times, although they might have seemed very charming, the old traditions appear to have been largely forgotten. Brides now choose their flowers for their shape, fragrance, and colors. The wedding bouquet is the ultimate accessory for the bride and significantly adds to the day’s overall appearance. The blooms chosen by a bride are a way that she can express her own personality, taste, and personal style, as well as complement her gown. Imagine yourself walking through a beautiful garden with each flower at the peak of its life. Which of these flowers would you choose for your wedding: something trendy or classic? Neutral or colorful? Small or large? If you don’t even know where to begin, we can help narrow your flower options down before you go the florist. Start with the basics, the three most popular, timeless, and beautiful wedding flowers. Roses have long been thought of as a symbol of love and beauty and are part of many fairy tales and myths. Romantic poets and writers have used this flower as a metaphor for true love, passion, beauty, and emotion. When it comes to the world of weddings, the rose is an all-star. Roses are available in bi-color varieties and solid hues – there are even tipped and striped roses. Over 3,000 rose varieties are commercially grown, and many are quite affordable and available all year long. Although roses tend to be associated with beautiful aromas, not all roses carry a scent. 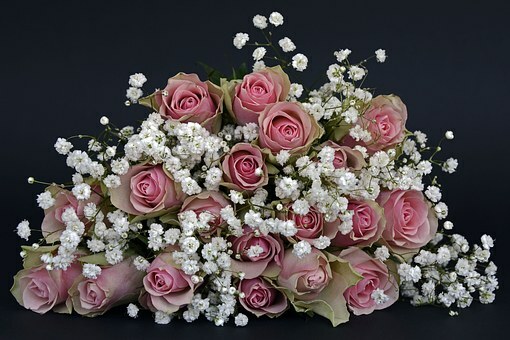 There are three main kinds of roses that are very popular wedding flowers: garden roses (old-fashioned, expensive varieties with wonderful scents and open, bushy heads), spray roses (roses that have 5-10 small heads on each of the stems, and a garden-grown, natural look), hybrid tea roses (uniformly shaped, classic commercial roses that you tend to see at the local florist). Although tulips tend to be associated mainly with the Netherlands, it originates from Persia. The tulip represents “happy years” and “consuming love,” and makes a very meaningful choice of flower for a wedding. The flower is grown in a broad range of colors, including vibrant shades (purple, orange, red, magenta), pastels (peach, yellow, pink) as well as cream and white. Available throughout most of the year, the more common tulips are quite affordable, although rare varieties may be expensive. Tulips are very versatile and can enhance both causal events and more elegant weddings. They also work very well in nearly any wedding detail – from table arrangements to boutonnieres and bouquets. 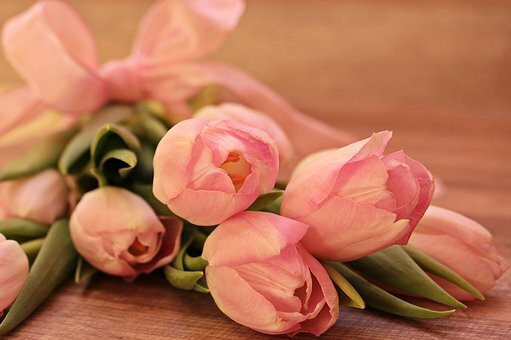 There are three varieties that are used the most: parrot tulips (which have intense colors and striped, ruffled petals), French tulips (elegant and expensive with large tapered blooms and extra-long stems), and Dutch tulips (commonly seen in gardens and local florist shops). Also called the arum lily, the trumpet-shaped, elegant blossom comes from Africa and in the language of the flowers symbolizes “magnificent beauty.” The distinct form of the calla lily has been widely depicted in both art deco and art nouveau work, along with 20th-century photography. Two kinds are readily available: a miniature version that is perfect for boutonnieres and small arrangements and a large-headed variety that features a smooth, long stem that is well-suited for presentation-style bouquets and tall arrangements. The most popular color is cream ivory. 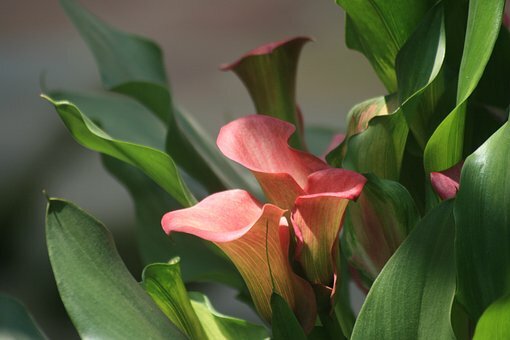 However, calla lilies also are available in dark purple, mauve pink, orange, and yellow. So which one will be your top pick on your big day?